The bomber detonated near the Weheliye hotel on the busy Maka Almukarramah road, Capt. Mohamed Hussein said. 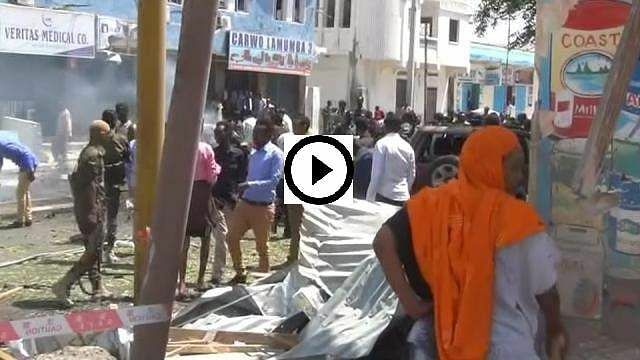 MOGADISHU: A suicide car bomber detonated near a hotel in Somalia's capital Monday morning, killing at least six people and injuring four others, police said. The bomber detonated near the Weheliye hotel on the busy Maka Almukarramah road, Capt. Mohamed Hussein said. Ambulances rushed to the scene. There was no immediate claim of responsibility for the blast. The al-Qaida-linked Islamic extremist group al-Shabab has often targeted hotels in Mogadishu. A hotel attack in late January killed at least 26 people. Despite being ousted from most of its key strongholds in south and central Somalia, the extremist group continues to carry out deadly guerrilla attacks across the country. In the past couple of years it has started to target checkpoints and bases of both the Somali military and the multinational African Union force. 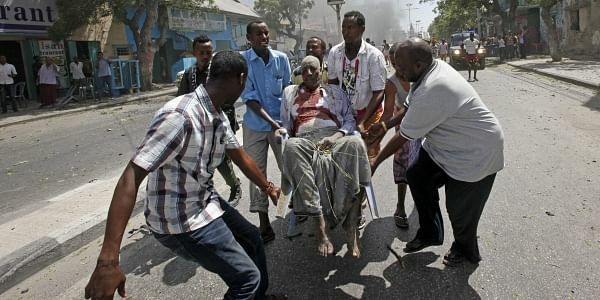 Al-Shabab poses a major challenge to Somalia's new President Mohamed Abdullahi Mohamed, who has vowed to make security a priority in this Horn of Africa country as the fragile central government seeks to expand its control outside key areas like the capital.